There’s a name for what a lot of us are doing. It’s hyper-parenting. Don’t give me that look, I didn’t come up with it. 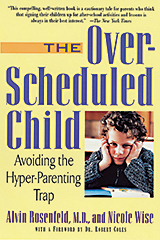 Hyper-parenting is a term coined by psychiatrist Alvin Rosenfeld in his book, The Over-Scheduled Child: Avoiding the Hyper-Parenting Trap. And I have to admit, I didn’t read the book when it came out in 2001. I was too busy coaching soccer and driving kids to gymnastics and scheduling summer camps in an attempt to expose my daughters to every possible creative influence in the Greater Richmond area. (I do read for pleasure by the way, but mostly fiction.) 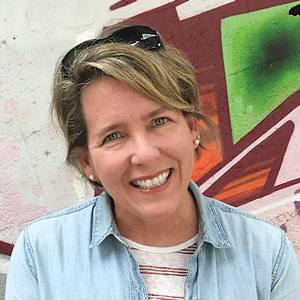 To keep up with important instructional information about this challenging job called parenting we all share, I check in with Victoria Winterhalter’s blog at RFMonline.com, Parenting by the Book. And this is where I first read about hyper-parenting. In their book, Rosenfeld and co-author Nicole Wise say it’s not just a term, it’s a way of life. Parents get so caught up in entertainment and enrichment and activities – that we insist are scheduled for the sake of our kids – that it seems the whole family is stuck riding a perpetual roller coaster of over-stimulation. The result? Our children don’t get a lot of down time, and when it presents itself, they don’t know what to do with it. These authors say that childhood is no longer “preparation for adulthood, but a performance in its own right.” And when you think about it, it makes a frightening amount of sense. As parents, many of us no longer need our kids to help out around the house. Many of us can hire folks to do what we don’t have time for, or don’t want to do, like cleaning or working in the yard. Others among us – okay, me! – pretty much blow off these things. With duties like these delegated outside the family, we expect our children to focus on being accomplished kids and stellar performers in their respective fields, whether it’s in the classroom, in sports, or in their social circles. After all, they’re kids, right? When I answered “nothing” and saw the look of absolute relief wash over her, I knew we needed to make some changes. With a marriage, three children, and a career – juggling errands, school, childcare, creative movement classes, soccer practice, and trips to the park and library, it felt like we were rarely all home at the same time. The sad truth is, when I recall those early days, I can see quite clearly that we weren’t even on the roller coaster yet. Heck, we weren’t even in line. So what’s the secret to getting off the hyper-parenting roller coaster? For starters, we can set firm limits. Establish an activities budget and stick to it. It can be useful to blame it on money, as in, “I’m sorry Mary, we can’t afford travel soccer.” Tell your child he has to choose between Scouts and dance class and fencing this fall. And just stop scheduling so much stuff. Keep everyone closer to home – walking the dog, weeding, doing laundry, playing board games – even if it drives you crazy. Even if it means a summer of fighting, crying, slamming doors, and name-calling — most of them directed at you. 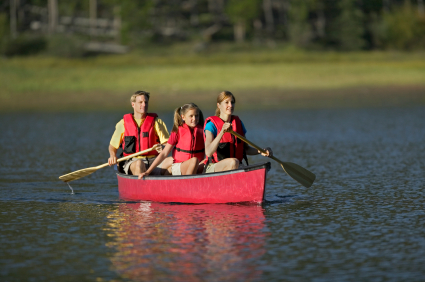 Summer can be the perfect time to slow things down. One of my most cherished childhood memories involves the TV show, Wide World of Sports and my father. He was in his La-Z-Boy. I was on the floor. And while sports journalist Jim McKay had spanned the globe to bring us the “constant variety of sport,” the “thrill of victory,” and the “agony of defeat,” by the time Jim got to the “human drama of athletic competition,” Dad and I were sound asleep. When was the last time you took a nap with one of your kids on a Saturday afternoon? Maybe that’s something we should all try to schedule this summer.